In The Healthy Home, father-and-son team Dr. Myron Wentz and Dave Wentz walk readers room-by-room through a typical house, pointing out the surprising health risks posed by the everyday products and behaviors of any modern family. With the help of colorful illustrations and illuminating quizzes, you learn about the negative effects of toxins found throughout your home and receive simple solutions to help minimize exposure without foregoing convenience. The Healthy Home gives people the power to make a long-term impact on their health and that of their loved ones. An invaluable guide, it will change how we live in simple yet significant ways. Dr. Myron Wentz holds a Ph.D. in microbiology with a specialty in immunology from the University of Utah. He founded Gull Laboratories in 1974 and developed the first commercially available diagnostic test for the Epstein-Barr virus. 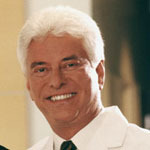 Later he founded USANA Health Sciences and the Sanoviv Medical Institute. Honored in June 2007 with the Albert Einstein Award for Outstanding Achievement in the Life Sciences, he is the author of A Mouth Full of Poison and Invisible Miracles. In recent years Dr. Wentz has turned his attention to charitable and humanitarian concerns, founding the Wentz Medical Centre and Laboratory in Uganda and the Wentz Medical Centre in Cambodia, serving children orphaned by diseases such as malaria and HIV. In 2006, Dr. Wentz was a recipient of the Children's Champion Award, presented by the Children's Hunger Fund. Dave Wentz is the Chief Executive Officer of USANA Health Sciences, a state-of-the-art manufacturer of nutritional supplements and health products. He received a Bachelors degree in bioengineering from the University of California, San Diego. He lives with his wife, Renée, and children, Andrew and Sydney, in Salt Lake City, Utah.